If you had an opportunity to purchase produce grown by a veteran of the United States armed services, wouldn’t you do so? The answer to that question, for most people, is a resounding “yes!” In an attempt to try to capitalize on that attitude, the Illinois Farm Bureau and Illinois Department of Agriculture have launched Illinois’ version of a marketing and branding campaign entitled Homegrown by Heroes. Homegrown by Heroes was started by the Kentucky Department of Agriculture and was expanded nationally by the Farmer Veterans Coalition. The program’s intention is to help veterans showcase their products and thus grow their businesses by marketing the fact that veterans are producing goods in their particular states. Qualifying veterans use a special logo to help raise the profile of their products in their state’s market. 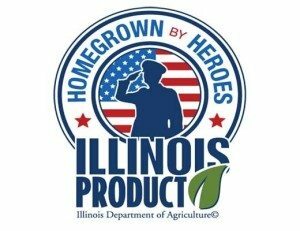 Applications to participate in the Homegrown by Heroes program in Illinois are available on the Illinois Department of Agriculture website. Completed applications will be sent to the Department of Veterans Affairs for verification. Veterans are required to hold at least 50 percent ownership in the operation that produces their foods or farm products. Upon verification of the application, the veteran will be emailed the Homegrown by Heroes logo for their use in marketing and branding. The program is free to any and all qualifying veterans. The Homegrown by Heroes program is rapidly expanding across the country and for good reason: most people are glad, even eager, to support the veterans that served our country on our behalf. We at Gateway FS Construction Services thank, salute and honor both our Veterans and Farmer partners. If you see a Homegrown by Heroes logo when shopping, take a second look! It’s a time honored tradition that continues to draw thousands of people each year – the annual county fair season is in full swing! Generations of families throughout Illinois come out each year for their local county fairgrounds to enjoy their fair’s wide variety of fun and entertaining offerings. 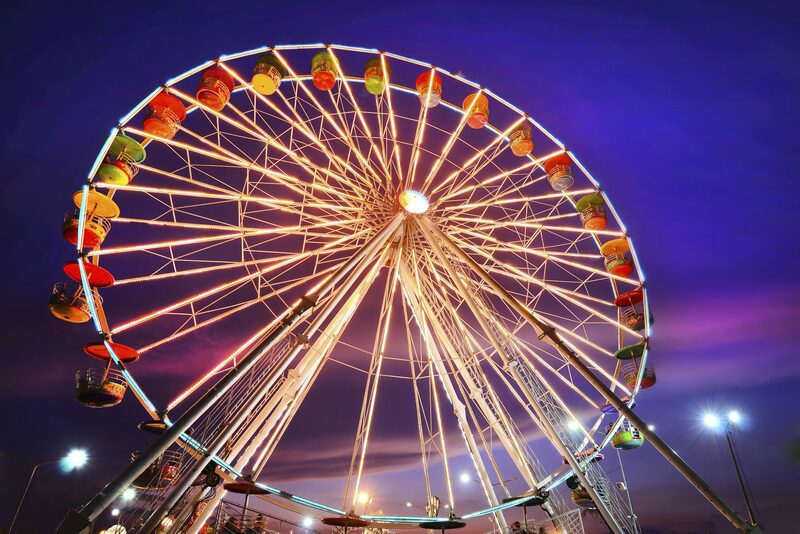 There is definitely something for everyone at your local county fair, from art exhibits to horse shows to car demolition derbies, county fairs have it all! The Randolph County Fair is up and running right now, starting last Friday at the Fairgrounds in Sparta. Before the Randolph County Fair ends on Sunday, July 19, fairgoers will enjoy the traditional fair delights, including livestock and agricultural exhibits, a horse show, a truck and tractor pull, a craft fair and other special events. Gates open at 8:00 a.m. and admission is free, although there is a fee from some activities. Go and join the some 5,000 people expected to attend the Randolph County Fair this year – you won’t be disappointed! If you can’t make it to Sparta, consider attending the Monroe County Fair in Waterloo. The Monroe County Fair runs Sunday, July 19 through Sunday, July 26. This will be the 68th year for the Monroe County Fair which has provided a venue to showcase local agricultural, livestock and business products, in addition to 4-H and FFA talent. A highlight of the Monroe County Fair has always been the Friday night Demolition Derby. Come on to Waterloo and check it all out! Like all county fairs, both the Randolph and Monroe County Fairs have a huge array of food choices for the whole family and carnival rides for the kids. It’s a good time for everyone who attends whether or not you are involved in agriculture. If you are involved in agriculture, come out to the Fairs and celebrate the season! If not, come on out and enjoy all that the fairs have to offer, including a vast collection of livestock, crops, etc. that are proudly produced and displayed by your local farmers. You’ll be amazed! Most Gateway FS customers know that the Illinois farming cooperative system in this region began with the Illinois Farm Supply Company in the 1930s. What few people know, however, is that the now-familiar FS logo didn’t exist until 1955. It was at a meeting of directors, managers, and salespeople in Springfield and Decatur on July 18, 1955 that the FS logo was born. Introduced by Illinois Farm Supply CEO Chet Becker, the logo was instantly accepted as the symbol of the high quality products and customer service for which the Illinois Farm Supply had become known. In his speech to introduce the new logo, Mr. Becker stated that he hoped that the logo would come to stand for the “character, business integrity, and good business citizenship” of the Illinois Farm Supply Company. Today, the FS logo has not only met that expectation, but exceeded it. The FS logo continues to represent excellence, service, and integrity in the high quality products and customer service that Gateway FS provides. To help celebrate the 60th anniversary of the FS logo, a commemorative logo has been introduced. You may see this special logo featured in a number locations, including Gateway FS employees proudly wearing the logo on limited edition shirts as they provide highly specialized agricultural services, build pole and post frame buildings, erect new grain systems or complete paint projects in our communities. If you see the logo or notice an employee wearing his or her shirt, be sure to comment on it. They are honored by their association with Gateway FS and also with you, the customers that they are pleased to serve. For more information on how FS Construction Services can help with agricultural, pole and post frame buildings, paint services, overhead garage doors or other building needs contact us at 866-551-3454.